MagnaFlow Exhaust - Rock Crawler Series JEEP - Dezod Motorsports Inc - Home of the automotive performance enthusiast since 2002. Designed to fit with aftermarket bumpers, MagnaFlow high clearance design for off-road rock crawlers melds quality with durability. 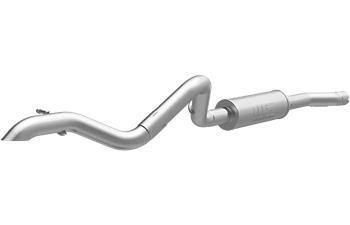 Mandrel-bent tubing and a perforated steel core boost exhaust flow and the parts are dyno proven to produce maximum power.